Just picked up this PDK 911 Turbo. My 4th 911 and 5th Porsche. Absolutely delighted with it. I do however wish to retrofit sport/sport+. The Porsche website doesn't list the retrofit for a 997.2 turbo (just the 997.1) - has anyone any experience getting this done? Sorry, that was not the answer to your question. I'm pretty sure that 'Sports' can be retrofitted and I think the chrono aspect in the PCM is part of that. All you don't get is the superfluous carbuncle on the dash. = The best of both worlds. you can get it retro fitted and in a turbo it makes a huge difference so well worth it. Are you absolutely sure for the .2 Turbo? I guess I'll phone my dealer tomorrow. Just had to type....Stunner for sure..
Wow, nice one Keith!! Perfect spec!! 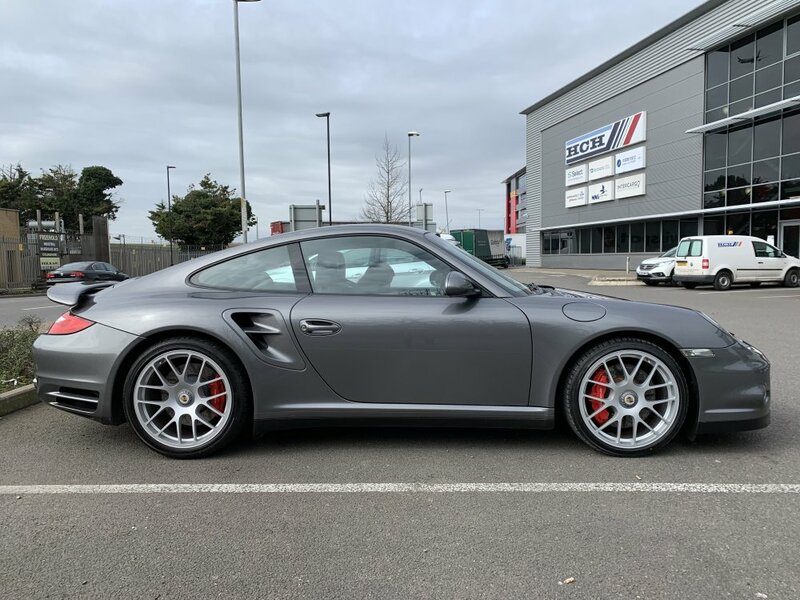 That colour is stunning and suits the 997! Is that meteor grey metallic?